The Australian War Memorial increasingly seeks and accepts sponsorships from the world’s largest multinational weapons manufacturers. These companies reap enormous profits from war; for them, ongoing warfare leads to greater business success. They have no place in a memorial to our war dead. MAPW has launched our “Commemorate Don’t Commercialise” campaign to get those with vested interests in warfare out of our War Memorial. 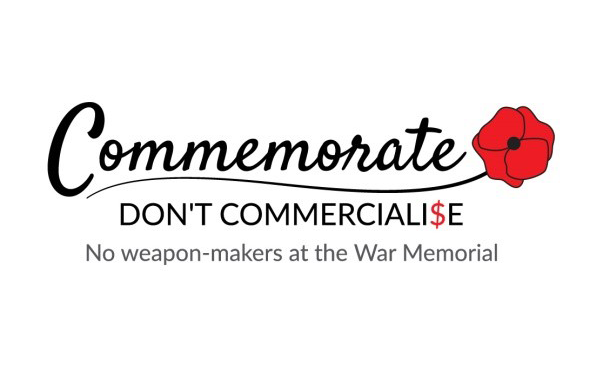 “Commemorate Don’t Commercialise” is a part of MAPW’s campaigning to raise awareness of the intrusion of weapons companies into many aspects of Australian life. Please support our petition, which you can sign here. Every visitor to the AWM is greeted by an illuminated screen featuring the corporate logos of these companies. 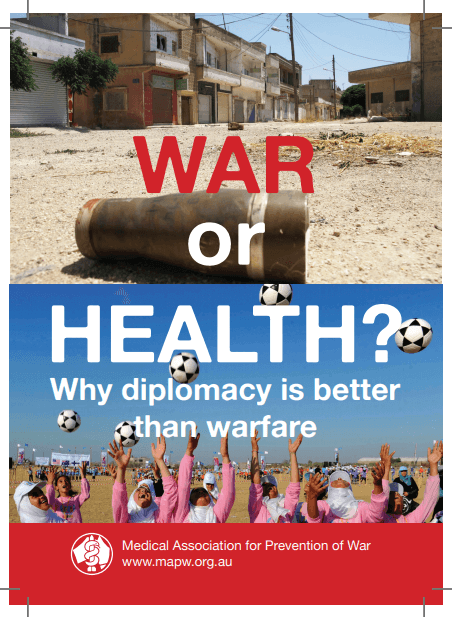 The ‘BAE Systems Theatre’ is actively promoted for hire, thus marketing Britain’s biggest weapons maker. BAE Systems is a major military supplier to Saudi Arabia, a country known to sponsor terrorism, and which is currently committing atrocities against civilians in Yemen. BAE has been the subject of multiple corruption investigations, including for its dealings with Saudi Arabia. You have a three-year partnership deal with Lockheed Martin, the world’s largest weapons manufacturer, which also has a history of corruption. The deal includes assistance with commemorating the centenary of Armistice Day. During World War 1, the weapons industry made huge profits as Australians and others were slaughtered in unprecedented numbers. 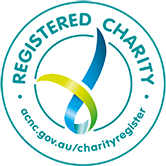 We would not accept cigarette or alcohol company sponsorship of hospital wards. It is totally inappropriate for weapons-makers to sponsor our national War Memorial.